Usually refers to small autonomous motor pumps pumping station that can operate in the absence of electrical power. 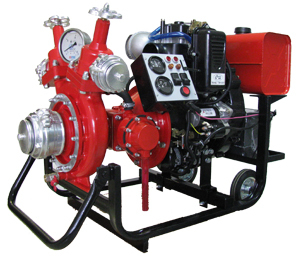 To actuate the pumping unit pumps used diesel or gasoline internal combustion engine (ICE). Depending on the power used by the motor and pumping unit pumps varies its performance. 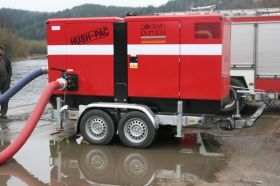 The most common and popular range of portable pumps - is from 400 to 2000 liters per minute. We can offer pumps for a variety of operating conditions and the degree of contamination of the pumped water.